Taking the step towards online promotion not only means you set yourself up for an increase in revenue. It also means you can help more people in need. 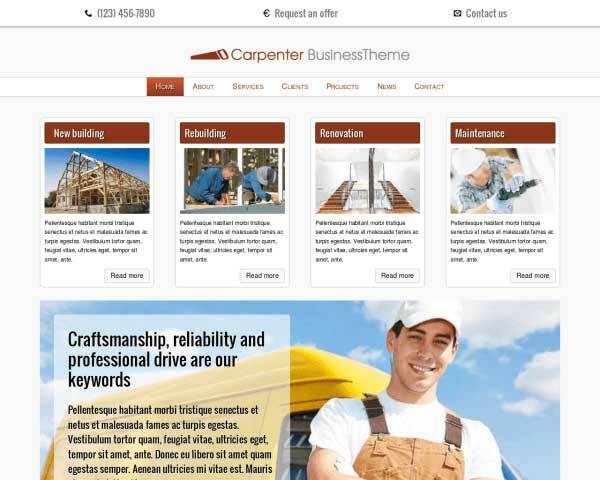 The Carpenter WordPress theme serves two purposes. 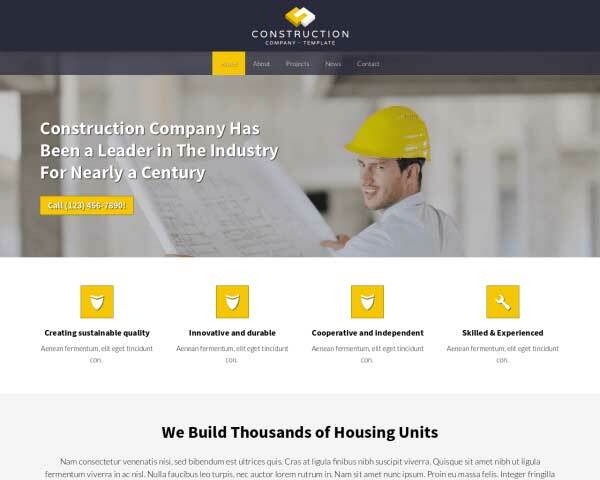 It showcases the most important information like your telephone number, contact section and offer proposition, directly in the header. 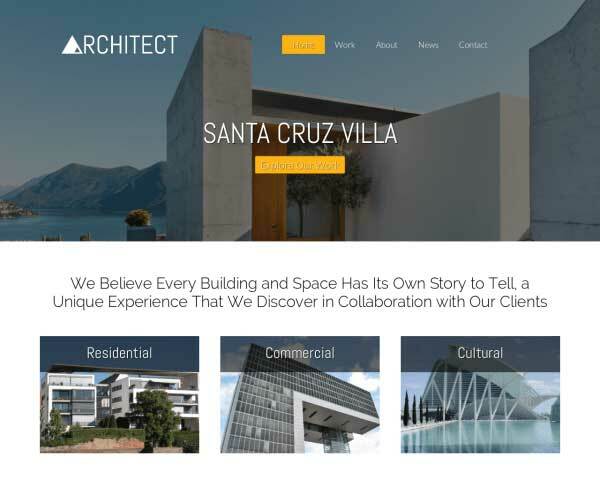 Secondly, visitors will know immediately where to go from the homepage on out, being giving a clear overview of your main services. We've further extended the theme with a showcase gallery, news articles and much more. 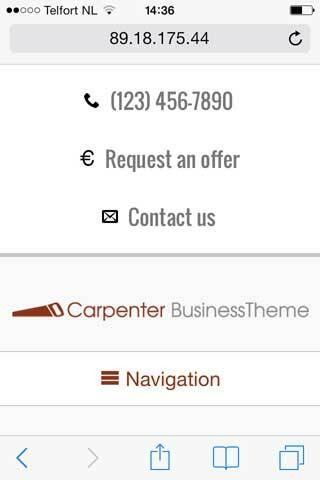 Wrapped up in a mobile package the Carpenter WordPress theme will surely be the best way to attract a new stream of revenue. 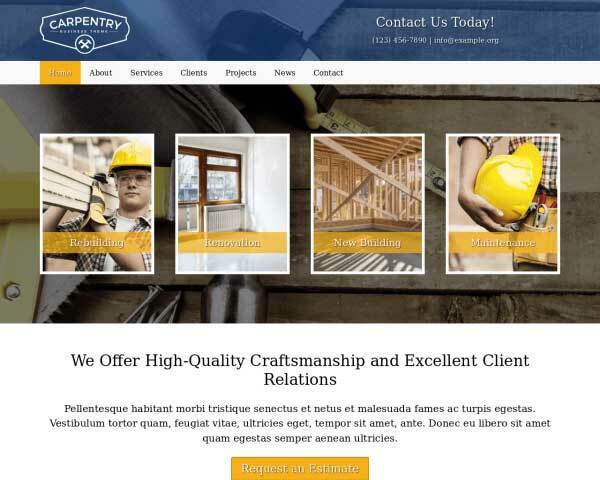 Prominent calls to actions on nearly every page of the Carpenter WordPress Theme encourage visitors to get in touch with you online without making them search for the link. 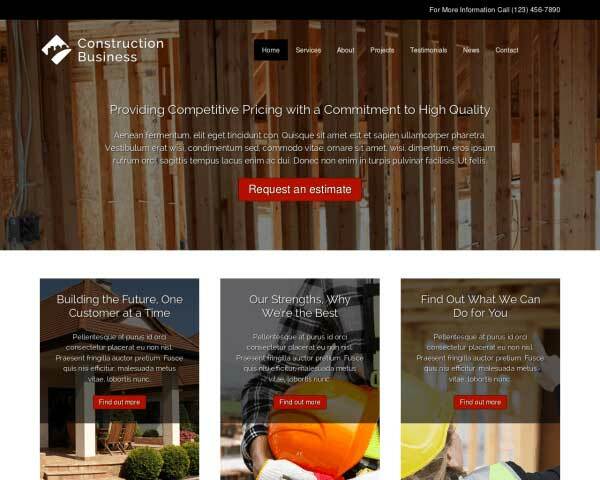 The service detail pages of the Carpenter WordPress Theme allow you to go into detail about what you and your team can do for your prospective clients. 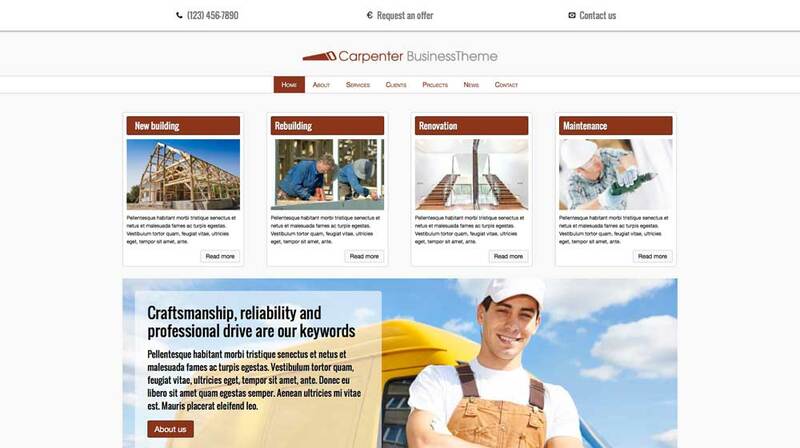 Before building this theme we first researched the specific business needs of carpenters. 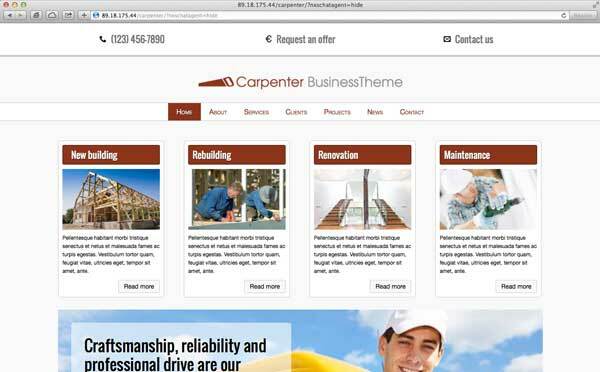 This way of working ensures that the Carpenter WordPress Theme offers the best match for your business. 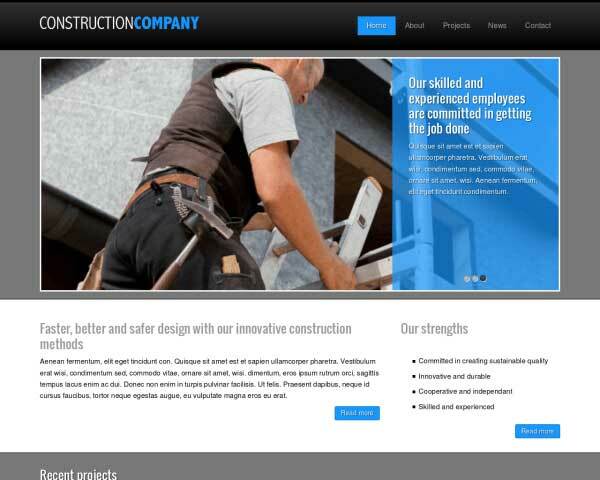 We have long moved away from static handcodes websites. Having a website in this day and age means servicing all kinds of people with all kinds of devices. 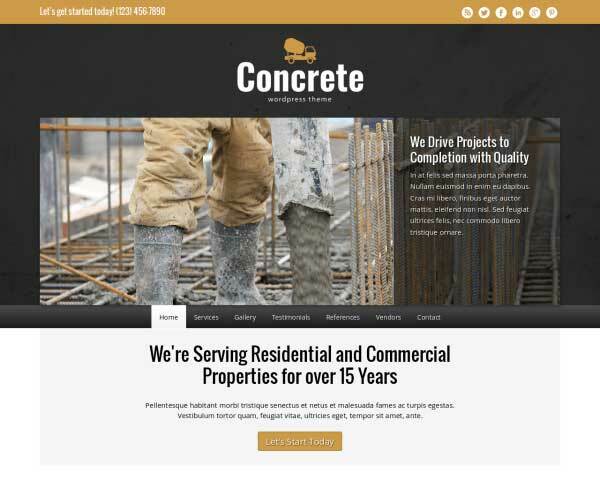 Whether it is a mobile phone or a desktop you want to provide your visitors with the best user experience possible. 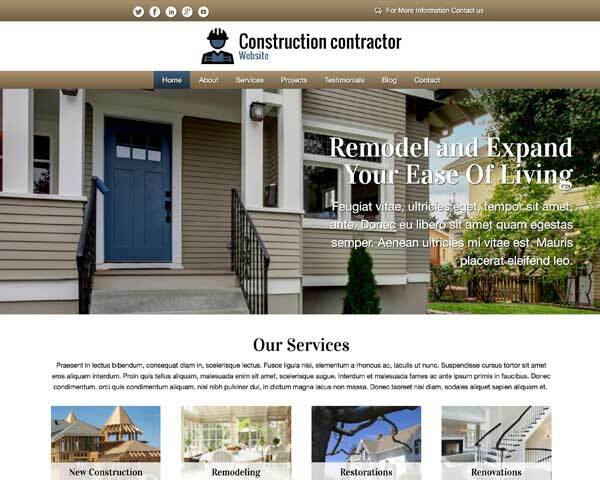 The way to do so is with a so-called "responsive" website. 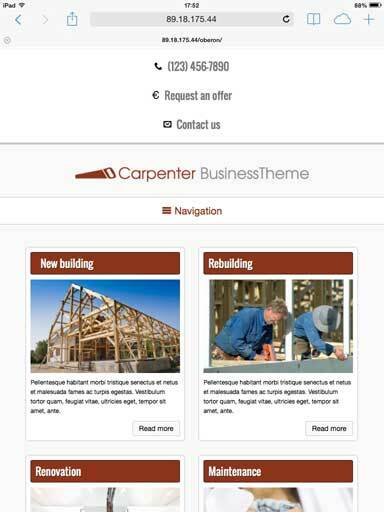 With the responsive Carpenter WordPress theme you set yourself up for online success, being able to convert visitors into customers.